Steve Lawrence: Black people can do black jokes, Jew do Jew jokes, Italians do Italian jokes, etc, etc. He does em all and gets away with it because he's hysterical. Watch this movie, you hockey puck. "Mr. Warmth: The Don Rickles Project" is an engaging documentary: a portrait of a consummate entertainer who always remained true to who he was. It's directed by filmmaker John Landis ("Animal House", "The Blues Brothers", "An American Werewolf in London"), who was an 18-year-old production assistant on "Kelly's Heroes", the WWII actioner that co-starred Rickles. Here, Landis creates what is essentially a feature-length love letter to the master of the comedic insult. 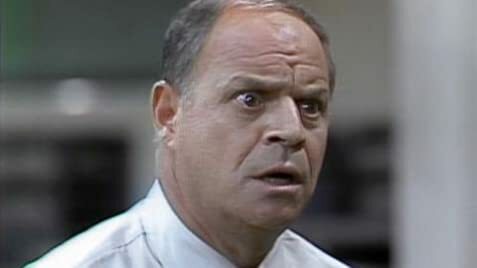 Essential points about Rickles are conveyed: this was a comic who operated without a filter. He also didn't work from a script, and was often at his best when riffing; picking out audience members and finding something with which he could tease them. As singer Steve Lawrence points out, he could tell just about any sort of ethnic joke, and get away with it, because the bottom line is that he got people to laugh. 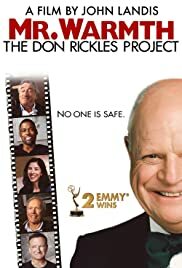 Mostly, the project is assembled from many testimonials from contemporaries and admirers of Mr. Rickles, and we get to see some of his famous TV moments. 'Tonight Show' legend Johnny Carson confronting Rickles over Carsons' broken cigarette box - while Rickles is trying to shoot his own program in the building - is particularly hysterical. Only after the halfway point does this briefly turn into a more traditional "I was born in..." sort of life story, and the project loses some momentum in the final third by taking too much time to discuss the evolution of Las Vegas. Some of the editing is a little abrupt; one would like to see an interviewee finish their thought before Landis moves on to the next one. Even for a decade after this film came out, Rickles was still performing with his trademark energy and biting wit.